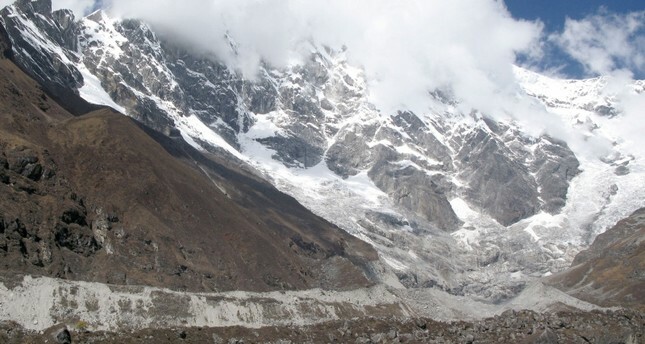 Two-thirds of Himalayan glaciers, the world's "Third Pole," could melt by 2100 if global emissions are not reduced, scientists warned in a major new study issued on Monday. And even if the "most ambitious" Paris Agreement goal of limiting global warming to 1.5 degrees Celsius is achieved, one-third of the glaciers would go, according to the Hindu Kush Himalaya Assessment. Five years in the making, it involved more than 350 researchers and policy experts, 185 organizations, 210 authors, 20 review editors and 125 external reviewers. The 2015 Paris Agreement's central aim was to keep a global temperature rise this century well below 2 degrees Celsius above pre-industrial levels and to pursue efforts to limit the temperature increase even further to 1.5 degrees Celsius. In December, world leaders at the COP24 talks in Poland agreed on a common rule book to implement the accord, in which countries committed to limiting global temperature rises to well below 2 degrees Celsius. The new report said that even if the 1.5-degrees target is achieved, it would mean a rise of 2.1 degrees in the Himalayas region. If emissions are not reduced, the rise would be 5 degrees. Satellite data show that numbers of such lakes in the region grew to 4,260 in a decade from 3,350 in 1990. Air pollution from the Indo-Gangetic Plains -- one of the world's most polluted regions -- also deposits black carbon and dust on the glaciers, hastening to melt and changing monsoon circulation, the ICIMOD study said.